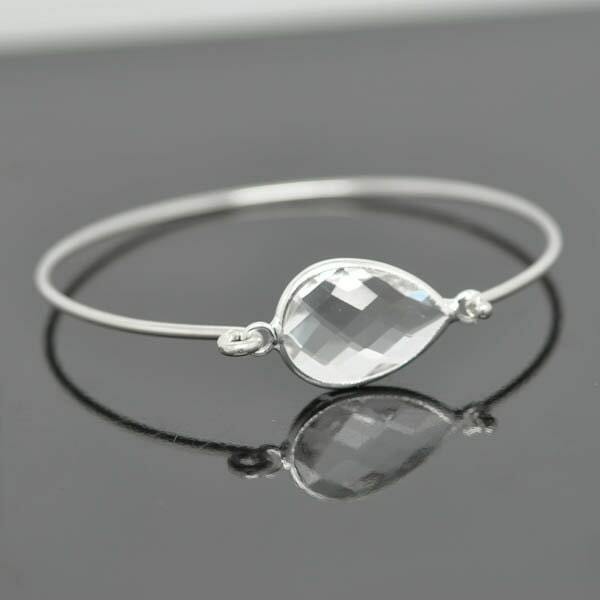 The bangle is made with 925 solid sterling silver or silver plated with pewter set clear crystal birthstone charm bangle. Option 1: The bangle is made with STERLING SILVER. The bangle CAN BE OPENED and will fit most people on the wrist. Please choose the right size. 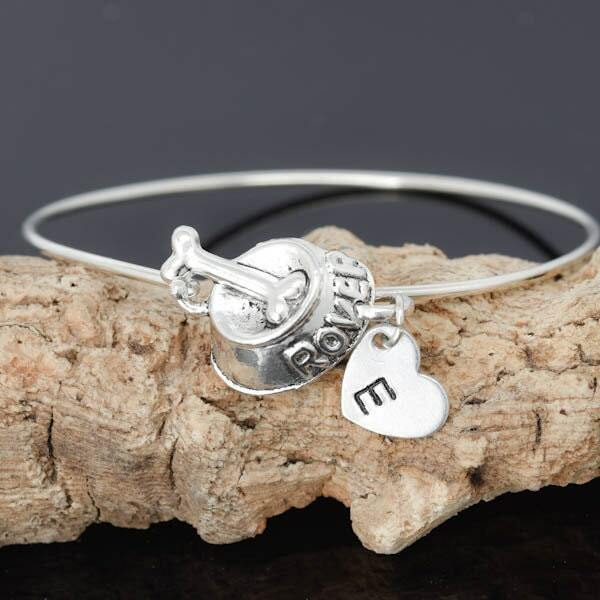 Option 2: If the bangle is made with SILVER PLATED. The bangles CAN’T BE OPENED and the bangle is meant to slide over your wrist. Please measure the widest part of your hand where the bangle has to slide over your knuckles. 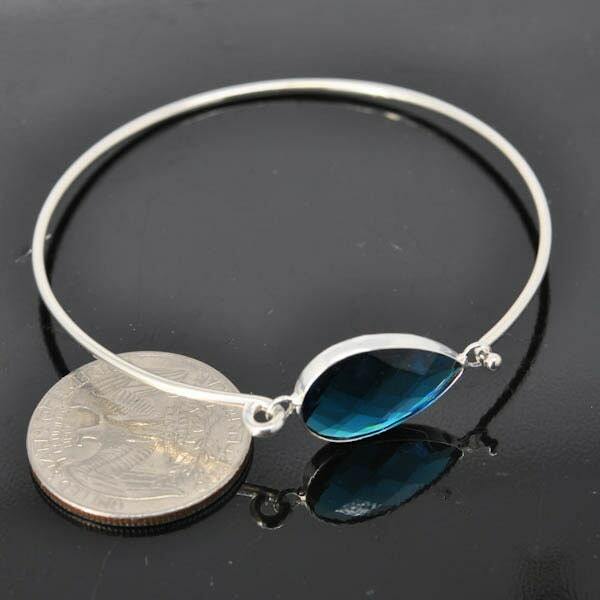 Bangle Size - From 3.5" up to 9"